Media Watch appears to employ 11 staff members. The combined efforts of these 11 staff produce just 15 minutes of television a week. In 2011 Media Watch produced just 9.75 hours of television, less than 1 hour per staff member. Do you consider this represents value for money to the Australian Tax payer? 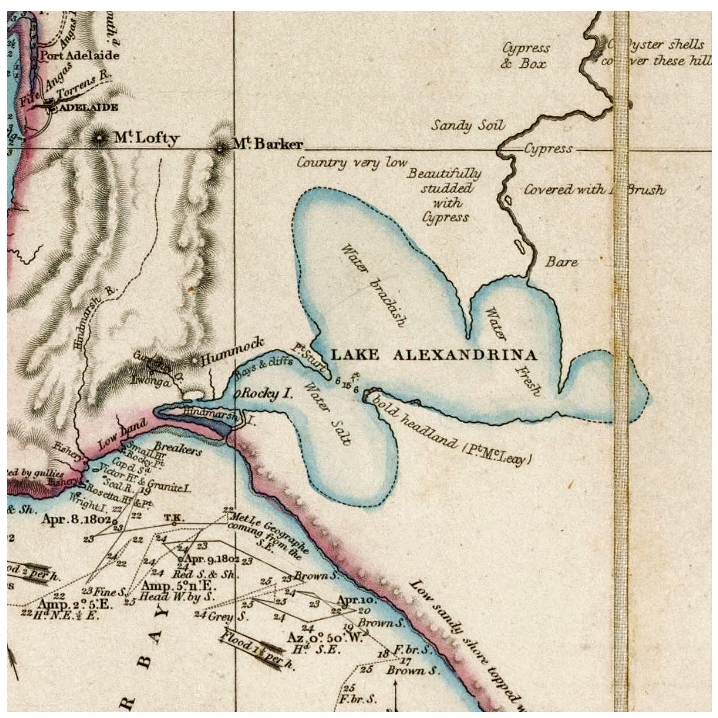 A map of Lake Alexandrina drawn by John Arrowsmith in 1838 based on reports of water quality from Charles Sturt. The map shows the lake contained salt water, brackish water and freshwater and this is consistent with it being part of an estuary. Source. ABC's Media Watch program got itself into hot water this week after sending a series of questions to Murray River researcher Dr Jennifer Marohasy. According to Dr Marohasy, the questions were sent last Friday afternoon (9/3), with a plan for a national broadcast by Media Watch on the following Monday night (12/3). It appears Media Watch is contemplating asserting or implying that my professional judgement and integrity as a scientist has been influenced or corrupted by personal financial gain. Accordingly, I have sought legal advice on the matter, and include this in my full response that can be downloaded HERE. We are unsure of the motivation behind Media Watch's inquiries. Based on our understanding, none of its current staff have the scientific qualifications or necessary scientific experience to comment or judge the science behind the policy debate about the Murray River. Uncertain as to why Media Watch would focus on Dr Marohasy's work, we put the following questions to Media Watch Presenter Jonathan Holmes, and its executive producer Lin Buckfield. 1. Can you outline the motivation behind Media Watch inquires into scientific work conducted by Dr Jennifer Marohasy? 2. What prompted the initial inquiries? 3. Why would a program that is ostensibly about the media, choose to focus on the scientific research of Dr Marohasy? 4. Would ABC's Catalyst program be a more appropriate venue to discuss Dr Marohasy's research in relation to the Murray River? 5. Can you outline the scientific expertise and qualifications of Media Watch staff? 6. Given Media Watch staff do not have any relevant scientific qualifications, which scientific expert did Media Watch rely on to provide scientific input into the questions sent to Dr Marohasy? What are their scientific qualifications and experience in relation to the science of the Murray River? 7. Dr Marohasy provided an in depth reply to Media Watch questions see HERE. Which suitably qualified scientific expert did Media Watch rely on to evaluate Dr Marohasy's answers? 8. Which suitably qualified scientific expert did Media Watch plan to use to evaluate Dr Marohasy's contribution to science and the debate surrounding the Murray River Barrages? 9. Did Media Watch seek to ask their expert about any vested interests they might have in relation to the subject at hand? 10. If so, what were the result of those inquiries? If not why didn't Media Watch consider this to be relevant? 11. 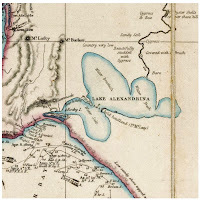 Does Media Watch deny that the vast majority of recognised experts on the natural history and hydrology of the Lower Lakes agree with Dr Marohasy's conclusions that the lakes were estuarine immediately prior to the erection of the Murray Mouth barrages, or at any time in the past 2000 years? 12. If not, can you point us to any recognised scientific expert who supports Media Watch's view? 13. Why did Media Watch provide Dr Marohasy with such short notice to respond to questions? 14. Does Media Watch consider the amount of time fair and reasonable given the number and nature of questioning? 15. Last Question. Media Watch appears to employ 11 staff members. The combined efforts of these 11 staff produce just 15 minutes of television a week. 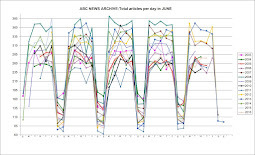 In 2011 Media Watch produced just 9.75 hours of television, less than 1 hour per staff member. Do you consider this represents value for money to the Australian tax payer? Thank you for your email, it is one of many Media Watch has received in relation to questions the program sent to Dr Marohasy last week. As you will be aware, Media Watch has not, as yet, run an item looking at the media coverage of the report “Plugging the Murray River’s Mouth” authored by Dr. Marohasy and commissioned by the Australian Environment Foundation. Media Watch looks at how the media (all platforms) report and treat various issues. In order to do that we research many stories, telephone calls are made, emails are sent. Our hardworking team of 3 researchers cover a lot of ground in the course of their working days. Ours is a controversial program, our investigations rarely please everyone but we are bound not only by our ethics as journalists but also by the ABC Editorial Policies to fair, honest and unbiased in our approach to our work. We are under no obligation to discuss correspondence or conversations with third parties done in the course of legitimate research. Given that Media Watch has not yet put an item to air looking at the media coverage of the report “Plugging the Murray River’s Mouth”, may I suggest you get back to me with any questions you may have if and when the item airs? Can you comment on what appears to be a very common Media Watch tactic of ambushing the subjects of its investigations with questions late on a Friday afternoon for reports that are due to be broadcast the following Monday. With this in mind I draw your attention to questions 13 and 14 in the list we provided. Looks like the ABC tried to use a barrage of questions to stop the natural flow of scientific discourse. No Bernd it is a deliberate tactic. It allows the presenter to say on air "we contacted JM but she was not prepared to comment" failing to mention that they gave inadequate time for a considered response. Thus the ABC appears to have the high moral ground whilst at the same time casting a slur. I hope Xanthe Kleinig from Media Watch has time to get to your questions. She did graduate from Flinders University in South Australia, but not in science. She has worked for the newspaper the Adelaide Advertiser. "I just had a phone call from John Abbot. We have no problem if he assists you. However it seems to me that notwithstanding question (1), that questions (2) to (5) are straight forward and personal to you." I think Media Watch should answer the questions BEFORE the program airs. And if it does not intend to air the program it should/must still answer the questions. So, as long as they don't run the story, and they won't, as they will contend it is stale news very soon, they don't have to answer any questions at all? I say,get into the real world and see how they fare!, so privatise the ABC NOW! In the interests of community reflective workplace diversity maybe one could also ask why 9 out of the 11 people employed by Media Watch are female? If Media Watch staff reflected the wider community then we might expect 4 labor voters, 4 liberal voters, 1 green voter and perhaps 2 independent voters. I think the reality would be 7 green voters and 4 ALP voters, and therein lies the problem. The response is almost a carbon copy in style and content that the BBC adopts to any complaint.
" legitimate research" Luvvey Lin has no concept of the meaning of either word. It is interesting to note that on John Arrowsmith's (who may go down in history as the worlds first denier) map the Coorong is not shown, dry? or the entrance to Lake Alexandrina blocked. Those are 15 elegant questions.